With MTHFR issues being detected more readily through better access to testing services, health professionals turn to MTHFR Support Australia as crucial leader and educator within this growing field of health care. 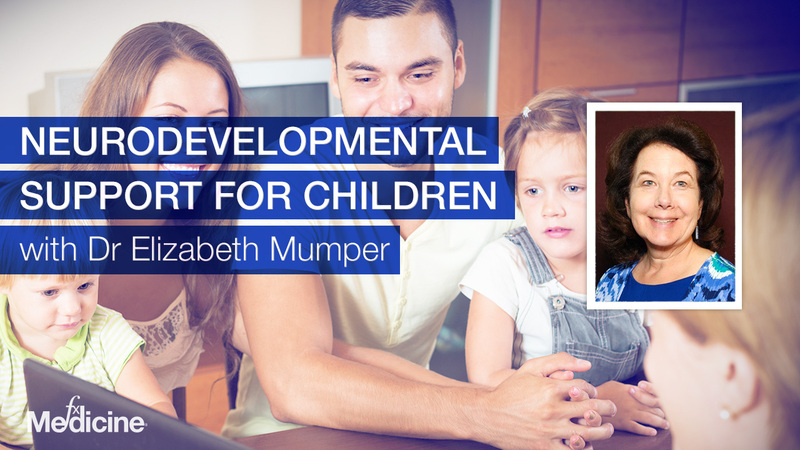 In today's podcast, Carolyn outlines the inter-related health issues which may present to those with MTHFR and related single nucleotide polymorphisms (SNPs). 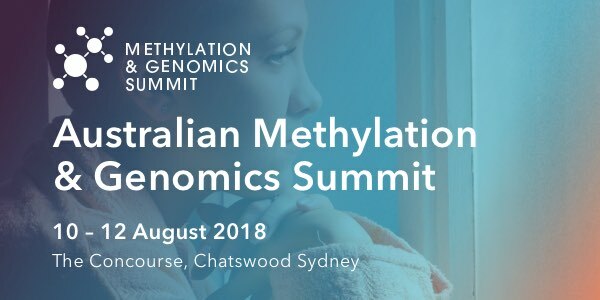 Carolyn's expertise with this subject matter demonstrates the necessity behind the education event she has developed bringing together national and international researchers and clinicians; The Methylation and Genomics Summit in Sydney, 2018. [02:11] What triggered Carolyn's exploration of MTHFR and methylation? 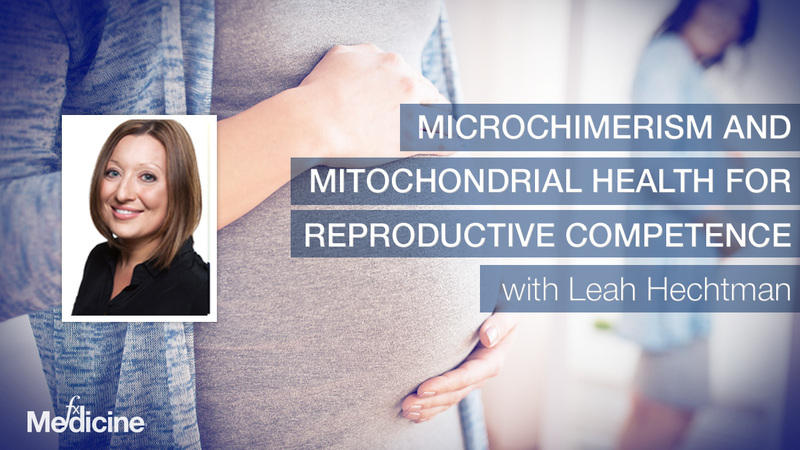 [12:09] What conditions are reflected in methylation issues? [17:42] The critical role of B12: a missed diagnostic? Andrew: This is FX Medicine, I'm Andrew Whitfield-Cook. Joining us on the line today is Carolyn Ledowsky. She's the founder of MTHFR Support Australia. She's a naturopath, herbalist, and nutritionist who has a Bachelor of Herbal Medicine, Naturopathy, Advanced Diploma of Naturopathy, and Diploma of Nutrition. 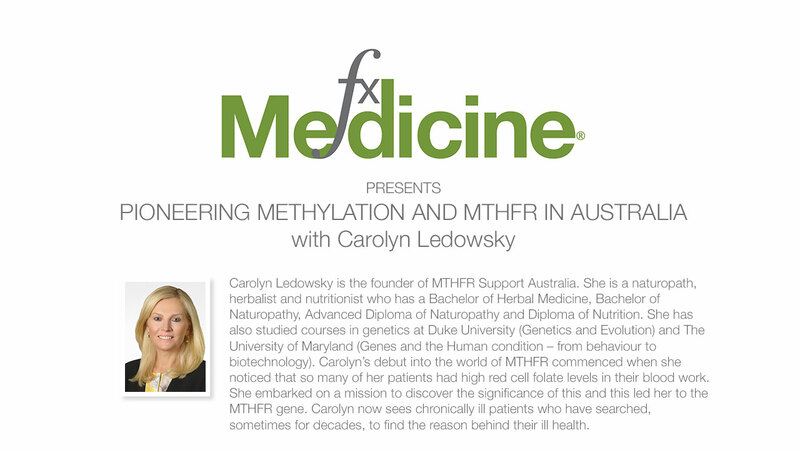 She's also studied courses in genetics at Duke University and the University of Maryland in the U.S.
Carolyn's debut into the world of MTHFR commenced when she noticed that so many of her patients had high red cell folate levels in their blood work. She embarked on a mission to discover the significance of this, and this led her to the MTHFR gene. Carolyn now sees chronically ill patients who have searched sometimes for decades to find the reason behind their ill health. Most of her patients have MTHFR mutations and/or associated methylation defects. And today, we're speaking with Carolyn about her entrepreneurialship in this area and indeed a new summit that she set up in Australia. Welcome to FX Medicine, Carolyn. How are you? Carolyn: Thank you, Andrew. I'm very well. Glad to be here. Andrew: Now, I've got to say take us a little bit through this investigation that led to the MTHFR gene. Because you started way back when it was in its early days. I'm a newbie to this. Carolyn: Well, yes. And I think it's got a lot to do with my personality, in actual fact. Because I really like to know the reason why for everything. And I ladder, until I get a reason that really suits my brain. Carolyn: And so I was a...Rachel Arthur was my mentor and she really got me into the bloods and I loved looking at the bloods to just see further and understand what was going on. So I did see this anomaly. And half of my patients could have elevated blood cell folate and a half wouldn't. And so I rang the lab and I said to them, "Can you tell me the significance of this?" And they said, "Oh, yeah. They're eating on a lot of leafy green vegetables. That's great." And I thought, no, that's not the answer because it's...the people that were sitting in front of me were not eating a lot of leafy green vegetables and they were sick. So I said, "Well, what exactly are you testing?" And they said, "Folate derivatives." And I said, "Yes, but what? I mean, is it tetrahydrofolate? Is it folinic? Is it methylfolate? What are you actually checking?" And they couldn't tell me. So I actually set up a meeting with a couple of doctors and I said, "Look, have you got any significance here of this? What is it that this is telling me?" And they said, "We don't know. Like, they're eating a lot of leafy green veggies." So I was actually at a conference in Melbourne probably about eight/nine years ago, and one of the doctors made an off-the-cuff comment in one of her presentations that folate problems in bloods, or elevation was associated with the MTHFR gene. And I thought, aha, that's it. So I made a beeline for her at the end of the presentation and said, "What is this gene?" And she said, "Look, you're just going to have to google. There's not a lot of research about it at the moment." So I did. And I became obsessed, reading everything I could find. And I basically...played around with protocols, and sure enough, these people that had the elevation in the red cell folate, it came down. And they improved in health. And so I thought, "Right, I'm on to something here," and that's what then got me into methylation and everything else. Andrew: But, of course, somebody ostensibly looking at this, particularly an orthodox person with regards to folate would think, “Well, you need more folate. So more is good and less is bad.” And yet, these people were getting better. So there's got to be something more there. Carolyn: "That was not such a great thing to do." Because I can do literally, nothing else, but take someone off folic acid and give them good forms of folate, food forms of folate, and other supplements if I need to and they will improve. If I did nothing else but took them off folic acid, they would improve. Andrew: It's very interesting what's coming out in various countries that have done the supplementation with regards to, you know, fertility, neural tube defect prevention, and I think one of the major ones was in South America, wasn't it? Where they saw that huge increase in colon cancer. Carolyn: Yes. And I think one of the things that we are seeing is that almost every study that is being cited with cancer or whatever it happens to be, whatever cancer, what are they assessing? Carolyn: They're not looking at the active forms of folate at all. Carolyn: And one of my specialties is fertility, and I literally have hundreds of couples coming to me who have gone to every IVF center, every herbalist, everybody and exhausted their ability to fall pregnant. And if I do it really simply and say, "Right, folic acid comes out." Sometimes I say herbs come out, and I literally maximise their folate to go with their genetics, and I’ll look very closely at the genetics. Because, for me, there are genes that also affect folinic breakdown. So you don't necessarily want to use folinic. So I would say, "Right, we're going to go high-dose and we're going to go just methyl. Or we'll go combination of methyl and folinic." And you know what? There's only been two couples that I've not got pregnant. And that's because they had a lot of ancillary stuff going on like autoimmune disease and whatever. So it really does work if you do it properly with the folate, particularly in fertility. But anyway. You started up MTHFR Support Australia, and that sounds like a very niche thing to be dealing with. So why such a niche thing? Why such a targeted approach? Carolyn: Oh, look, my husband asked me the same thing and he actually thought I was pretty crazy doing it when I changed my company name. And I think I knew that this was patient-driven. Because when I said on my website, and that's the first thing I did, I changed it to MTHFR Support Australia, literally, within three months, my business had grown by 300%. I knew that what was being driven out of the U.S. will get here to the point where it opens up the world of methylation. It's not specifically saying we just deal with MTHFR. What it's saying is MTHFR is a small part of this massive thing we call methylation, but it's so integrally important in the way that our biochemistry works. So I use MTHFR because it's the way that people can relate to what I do, and the first thing they might say...and these people were coming to me via the website saying, "Do you know, I have researched my health conditions for 30, 40, 50 years," however long they've had it, "and nothing has made as much sense to me as this because nothing can be found wrong with me. They don't seem to think that I have any cancer or any problems to say why I'm, say...let's say chronically fatigued. But what you're saying here really resonates with me and I know I'm homozygous for the MTHFR gene. So I want to see whether or not it will make a difference." Andrew: Why do you consider methylation and genomics so important in clinical practice, though? Like I guess my concern would be relying on the genomics only. Is that what you do or do you...? Carolyn: No, not at all. So I think what's incredibly important for practitioners to understand is that your genetics confer your susceptibility. So let me give you an example. If you have the PON1 gene that's homozygous, we know your ability to break down pesticides is obviously compromised. That enzyme is going to work much slower. But if you come into contact environmentally, a part of your job description is a groundskeeper on a golf course and you're coming into contact with pesticides and Roundup and everything else every day, that's a major problem because you're not going to clear it. The same if you have estrogen metabolism genes that are homozygous for say, the CYP1B1 or the COMT. Essentially, your ability to break down estrogens is a problem. Now, when we consider environmentally how many xenoestrogens are in our environment: plastic water bottles, in food that we buy out of, you know, plastic containers, heating things in microwaves, that's a huge susceptibility. And so we can then say to our patients, "Right, your susceptibility is here. So environmentally, you have to be more careful than anybody else. And by the way, I'm going to give you a hand to clear these estrogens because I know that's your susceptibility." 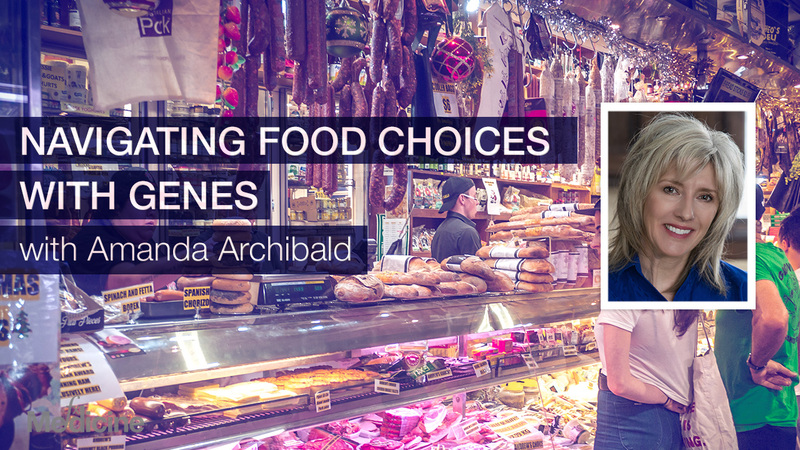 Carolyn: So I look at a combination of genes, bloods, environment, what they do, where they live, what they eat, what they drink. Everything. And that's where you get that big picture. That's where you get the breakthrough that sometimes you've never had. Because I really believe that if you can plug up that susceptibility, it's like a pothole. The best analogy I can make it is like a pothole in your lane in the freeway. If there's multiple potholes and you're driving your car over it, it doesn't matter how many times you change the wheels or fix the engine or whatever it happens to be, you're going to get injured. The car is just going to fall apart. But if I plug up those potholes, it doesn't really matter how old the car is. It'll toot along quite well. So that's how I think of it. Andrew: Yeah. I'm so glad you mentioned the use of your pathology reports along with the genomics. So the genomics is this susceptibility as you say, but then your standard lab tests and other tests are the measure of your efficacy. Carolyn: Oh, absolutely. And I believe bloods are like the windows to the world. 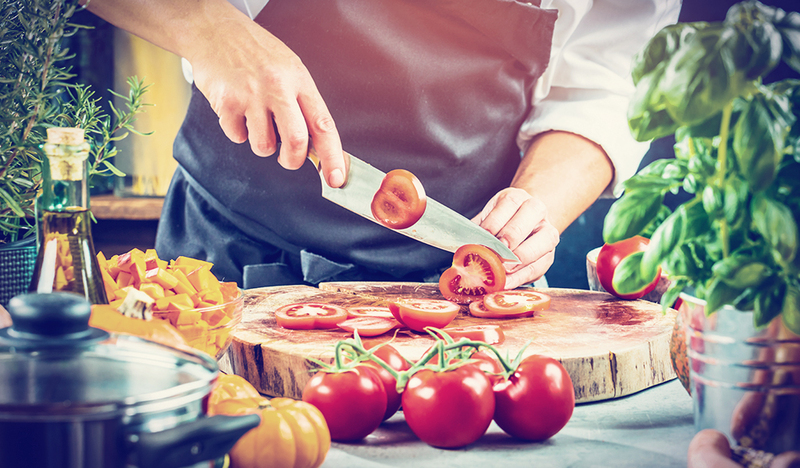 You can get so much information by looking at the functional medicine ranges of...medical ranges of those bloods, and it can tell you so much. And it can also tell you, you know, where you are improving and where you've got to focus your next energy. Andrew: You mentioned fertility and your passion with that. But what about other conditions that are associated with genomics? Carolyn: Well, really, how long is a piece of string? Because at the end of the day, you know, if you're asking me what conditions do I see most that come in my door? Well, definitely chronic fatigue. Because when we consider our energy cycle, it is part of the methylation cycle. And we always think about energy cycle, our citric acid cycle at the top of the pile, but in actual fact, it's downstream of the methionine and the CBS pathways. So chronic fatigue, absolutely. Because you rely on methylation to basically kick-start it. And one of the key nutrients that we need is actually a B12. So one of your active B12, adenosylcobalamin, is what kick-starts succinyl CoA. So really important in energy and I get massive improvements by looking at what happens with that energy cycle. Depression, probably number one for me when it comes to MTHFR, COMT genes particularly. And that in actual fact, great segue, is actually what we're focusing on this summit. Because it is such a big issue. And I would say probably 80% of my patients with MTHFR and associated mutations will present with anxiety and depression. Fibromyalgia, pain syndromes, because we know that excessive pain can be a problem with COMT genes. Hormones because, essentially, you need methylation, particularly your estrogens, you need your methyltransferases. So anywhere in the body biochemically that you need a methyl, you have to kick-start it...a methyltransferase is basically what you're hoping to improve and work, right? So think about everything that has methylation that needs a methyl group. So one, fat metabolism. Two, hormones. Three, detoxification. Four, creatine synthesis. You know, you could go on and on and on. There's over 18 methyltransferases, and they all rely on SAM. So if you can't produce SAM, you can't activate these enzymes. I mean, even the most basic of DNA. Your methyltransferases for DNA have to have methyls. So this is a huge group and I know people say ‘it's a fad.’ You know, ‘it's just something that's come along.’ It's not. It's pure biochemistry. Andrew: And this is, I think, the thing where you're leaning towards. You've got the genomics footprint as you say, but you're using your labs and herein lies the expertise to choose the correct labs to say, "I've done my baseline and I've got my treatment level, and I can show beneficial change." And that to me is the proof in the pudding. But it's not without controversy or conundrums, if you like. I remember Ben Lynch talking about, you know, sometimes, you'll give what you think is the right form and they'll flip. They'll go the other way. So tell me...like, help me here, what happens there? Is it that we haven't uncovered some other confounding interjecting pathway or something like that? Or maybe that it could be something as simple as poor digestion affecting, or the microbiota affecting, you know, what we're giving them? Carolyn: Yeah. Look, when you get what we call ‘methyl trapping’ which is a reaction to a methyl group, it is usually one of a few things. Definitely gut has a big part to play because as you know, all your dysbiotic bacteria, they create folate. So if you've got a lot of dysbiotic bacteria and you're producing a lot of folate, then you could well have a reaction to any folate. If you have downstream issues, so for example, let's say your CBS pathway, you're creating a heck of a lot of sulfur that you can't clear. If you give methylfolate, it's like being in a stream neck-deep and you let the floodgates out above. You will drown if you do that. So you really need to make sure that the downstream, so open detoxification pathways. Make sure you're supporting sulfur being eliminated from the body. Make sure you're supporting glutathione. Get the gut right. Because I believe that pyroluria and a lot of these associated conditions are simply a disturbance in CBS. So I think of it, if you've got a problem with methyls, that means you haven't cleared the downstream stuff. And one of the most, most basic things, is a lack of B12. Because without B12, you cannot use your methyls. So think of how many vegans and vegetarians have potentially got a problem, how many people who are seriously stressed with a down-regulation of hydrochloric acid that can't absorb their B12, they're all susceptible. So you have to fix those problems. There's always a reason why someone reacts to methyl. There is no such thing as, "Oh, I can't take methyl." Carolyn: I've even got people who are COMT++ that essentially, you know, by the book, can't take any methyls. And they're on, you know, 800 micrograms a day. So there's always a reason, you just have to be that medical detective and find what it is. Andrew: Just like the issue where you're measuring folic acid and then they're measuring the wrong surrogates, if you like, or the wrong markers, rather than measuring folates. What about B12? When you've got high B12 in the body because it can't be utilized. Should we be looking at different laboratory assays like holotranscobalamin or something like that? What do you measure? Carolyn: This is a really interesting subject, and it is actually going to be one of my subjects that I'm doing at the summit. Carolyn: Because I'm so fastidious about B12 and I'm also so...I get so excited when people talk about B12. Because I think it's one of the most simple things that we are missing diagnostically. We go off the labs, and I can tell you right now that the research does not support our reference ranges here in Australia. So we should not be looking at the reference ranges for serum B12, we should be going on symptoms. And MMA, if it's elevated, is more an issue with adenosylcobalamin than it is methylcobalamin. So we've got different forms of B12. We have to be looking at different tests diagnostically. So MMA, as I said, is adenosyl, really, but serum B12, I do look at serum B12. Because if somewhat is at the bottom of the reference range and is sitting at 152. And the doctor says the reference range is okay. I say ‘BS.’ Right. You absolutely need to show that you're getting good amounts of B12 because folate cannot be utilized. And it's one of these important things that I think practitioners miss. You have to go on the symptoms and it's the only situation where I say I don't care what the bloods are telling me. I'm telling you, you have a B12 problem. Andrew: So the blood tests need ramping up. They need reassessment as to their relevance. Carolyn: I mean, at 152, which is the bottom of our reference range, quite possibly, you've got irreversible neurological damage. And when you look at other countries like Japan who are saying the minimum range for them is 500 and we're saying 152 is acceptable? Carolyn: That is not...and what the research is actually saying, it's much higher. So our top end of our reference range is what the minimum should be. Andrew: I mean, this is critical stuff. If we're lagging behind the current science, we really need to be catching up. And indeed, this is what we're talking about today, to introduce the Australian Methylation and Genomics Summit. What is it and why did you set it up? Carolyn: I set it up because...well, what it is is it's a three-day event where we teach practitioners how to analyse...basically, how to analyse a patient that's sitting in front of you, and what are the things that you need to be looking out for genetically, environmentally, blood-wise? How do you actually assess it, and what are the key things that you need to look at, you know, from a genetic point of view? And the reason I did it is because we just had so many practitioners saying to us, "Look, I want to know more about this. I'm a bit scared by the science.” And you know because it is quite complicated. 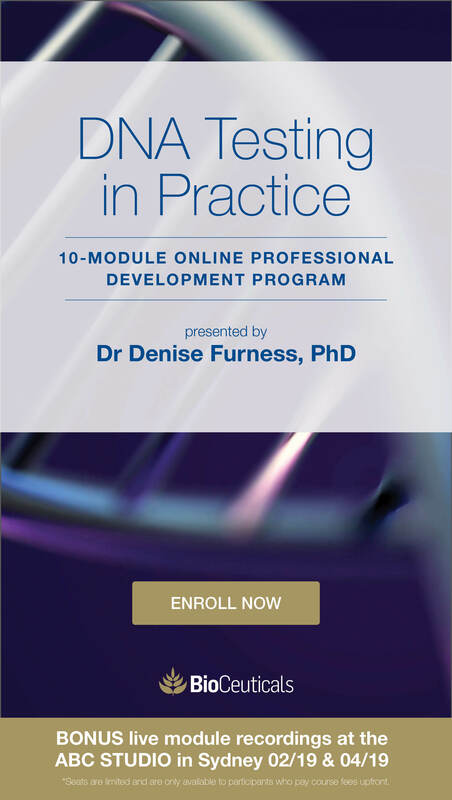 So we actually started it last year and the whole idea was to break it down and make it really simple for practitioners so that come Monday, they will go back to work and they can go, "Okay, this was really good information and I know how to apply it to practice." Andrew: This is really exciting stuff. When is it? And can I ask, I do know that you've got Ben Lynch coming, but can you please tell us more about some of...or indeed, more about Ben himself, but also about some of the other speakers you've got coming as well? Carolyn: So it's Friday the 10th of August going through to Sunday lunchtime on the 12th, and it's in Sydney. It's at Chatswood. We tried to pick a venue that was really good and central for everybody. And as I said before, we're really focusing on anxiety and depression. Because I think this is one of the pathways and where a lot of the genetics confuses a lot of people. And that's one of the reasons… So I went to Ben Lynch's conference last year and he and I have worked together pretty well back since the day I started. He's been a fantastic support for me and he's really gone out of his way to, you know, help me in any way that I needed, promote the conference, and when I asked him if he could speak, because of his new book, he said he'd love to. So he's actually going to be live via...so he's going to be live telecast. And he's going to be talking about the COMT gene because this is the one gene where there's so much on the net and people make these widely, you know, assumptions that if you've got COMT++, you can't do this and if you've got COMT--, you're going to be depressed for the rest of your life. So he's going to be looking at COMT in particular. Just to break it down and say, okay, there are certain personality types that you will see with a COMT++. So for example, a COMT++ person is going to be much higher in dopamine. A COMT-- is probably going to be very low in dopamine. And so your strategy as a practitioner is to balance those pathways. Carolyn: So he's going to be teaching practitioners the ins and outs of the COMT gene. So I searched...I really wanted an Australian keynote speaker. Because we do a lot of these conferences, Andrew, and we don't really applaud our local researchers. And so I really sought out Dr Stephanie Fryar-Williams. And she is one of the few researchers in Australia that has done research around the MTHFR and folate and its effects on psychosis. So she wrote an amazing paper beginning of 2017. So she's going to be presenting on, you know, this whole, “What do we think about B vitamins, folate, vitamin D, and how does it affect our neurotransmitters, our mood? And, you know, is there a possibility that in some instances, this causes psychosis?” So really interesting speaker. Carolyn: Dr Carrie Jones. So I'm sure a lot of your listeners will know Dr Carrie Jones. She works with the Dutch assay. So she's going to be looking at the endocannabinoid system and how it impacts chronic stress. So really interesting. It's going to be taking into account the HPA axis, norepinephrine, glutamate, GABA. Because we see, genetically, as you might know, that a lot of patients will present with GAD SNPs that affect GABA production. So she's going to be looking at that. And we know a lot about the endocannabinoid system and she's going to specifically look at the CB1 and CB2 receptors that are those that affect the cannabinoid system the most. So essentially, the premise around that is if someone is chronically ill with viruses and lipopolysaccharides, etc., to deal with that virus, tryptophan is stolen from the serotonin pathway and chucked into the kynurenine pathway. Which puts a whole lot of obviously neurotransmitters out. So that's a really interesting concept, and I think it's one that practitioners would find really enlightening because we see a lot of patients with that problem. And he's also going to look at the complicated pathway which is all about tetrahydrobiopterin and that tetrahydrobiopterin recycling because that's essential for our neurotransmitter production. Christine Houghton, some of you would know Christine. She's a new PhD now. She's just got her PhD. And she's going to really look at these upstream cellular mechanisms that affect depressive states. So cellular energetics, redox balance, and inflammation. Andrew: She's passionate about that. Carolyn: Yeah, and it's really good because, you know, again, she's going to look at nitric oxide synthase. And we see a heck of a lot of patients with these NOS SNPs that I think does confer some susceptibility. And I usually look at that from, you know, having too much ammonia, but we definitely know that this has an issue with our neurotransmitters, and particularly our serotonin pathway. And then yours truly is going to be talking about B12, as I said, really looking into what the research is telling us, what we should be looking at, what are the signs and symptoms we really need to be thinking of foremost and not sort of thinking, "Okay, well, the reference range is all right. Then it's fine." So I'm going to be giving some case studies to show you where the reference ranges of the patient might have been fine, but the symptoms were saying, "No, this is not fine." And I'm actually bringing out, from the U.S., Dr Detlev Boison. Carolyn: And he is doing...other than Dom D'Agostino, he is doing research about the ketogenic diet and mental health. But his particular specialty is how it relates to methylation. Carolyn: And I'm so interested because his focus is on what the ketogenic diet does to adenosine kinase. So adenosine kinase is produced as part of our...well, it's one of the enzymes that produces adenosine. And as you know, ATP and ADP all use adenosine. But he's actually looked at the effect that the ketogenic diet has on adenosine, and he's going to present those findings which I'm so excited about. I think that's going to be great. Andrew: And you've got one more speaker. Is that right? Carolyn: Yes, Dr Pratt-Hyatt. So we know that many of our practitioners use the organic acids as a test that they would use in practice every single day. And it's really interesting because the organic acid shows us markers of dopamine and norepi and serotonin. In that it looks at HVA, VMA, and the 5-HIAA. But it doesn't necessarily tell us there was a dopamine or serotonin or norepi. And so I think as practitioners, we can jump to conclusions that these levels are low when in actual fact, it's not low, it's a block. So we're blocking certain enzymes along the pathway which is causing low HVA. That does not mean we have low dopamine. Carolyn: So I think there's some really interesting information particularly about some of these like the MAO-B SNPs and things that sort of sit along that pathway. Andrew: Can I ask you because like I wonder how far we've evolved in, for instance, different types of people who might be craving either carbohydrates or protein and they're hopeful requirements, if you like, for tyrosine or tryptophan? Have you ever run across this and do you find that it's relevant still or do you find that no, it's not relevant now, we've changed? Carolyn: No, I do still find it's relevant. If you've got someone who is hoeing into the carbohydrates, I think you can definitely make an assumption that they're trying to self-medicate with the serotonin. Carolyn: … And we go a bit further from that basic premise, but I do still think it holds true. Andrew: I just think it's really interesting how we're now refining how we could pick, if you like, the relevance of supplementation with either tryptophan or tyrosine depending on their relevant SNPs and/or biochemical makeup, what sort of pathology you choose. I just think it's really, really interesting. One thing that I would love to see more on is a correlation, if you like, between what we think is happening in the brain with neurotransmitters and what is actually happening in the brain or whether there's a correlation with these, you know, secretory byproducts that we're measuring in the urine and things like that. I'd love to see more information on that. That'd be so exciting. Carolyn: Well, in actual fact, I'm working with a U.S. lab at the moment to see if we can get adenosine levels. So as part of our methylation panel, we will actually be able to see adenosine levels pretty soon. Carolyn: So this is one of the reasons that I really wanted to have this conversation about adenosine, and as a precursor to Detlev, I will be doing a half-hour presentation on: “What is adenosine and how is it made?” Just so that they...and what SNPs are involved in that. But I work with, Andrew, a lot of people that are very depressed. And it isn't a simple, you know, “You've got high histamine, therefore, you must be low methyl. Or you've got low histamine, therefore, you must be high methyl.” It's not that simple because as you know, there are so many genetic susceptibilities when it comes to neurotransmitters. And you've hit the nail on the head when you say, you know, our testing is flawed really. We can get metabolites, but I've done metabolites and then I've done neurotransmitters, and you just can't get that...you know, you can't get the answer. So I think, for me, I do play around with a lot of the genes and I look at that susceptibility and I will then go and do different things depending on different genetics, and I do twiddle with things to see what results I get. And sometimes it works brilliantly and others, it doesn't. But I do let the genes guide me because there are certain susceptibilities particularly in schizophrenia and, you know, psychosis that I think we can make a really big difference without necessarily going to the medications or as well as the medications and then get a really good response. Carolyn: So a lot of.. 99% of the time, I will never...I mean, 100% of the time, I will never take anyone off antipsychotics. However, I can get real improvement in the way that they respond and you can get rid of these really highs and really lows in between. So it is a really interesting pathway for me. It's something that I spend a lot of time on, but it's difficult because there's just so much to consider. And there's not one gold standard test, unfortunately. If there was, it would be awesome. But I think you can put little bits and pieces together to get an accurate sort of picture. And I'm playing with herbs now that act as MAO-A and MAO-B inhibitors, and it's funny, I've sort of gone back to the herbal medicine because now we're starting to see some of this research that said, well, guess what? Phellodendron is a great MAO-B inhibitor. 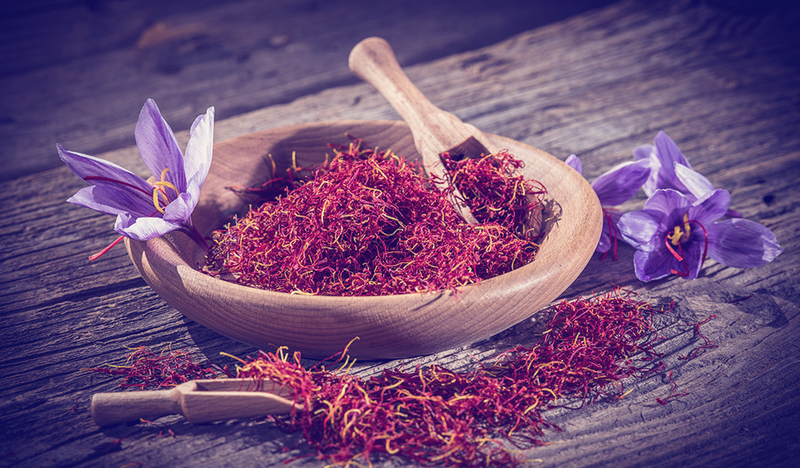 Carolyn: So I'm also playing with herbal medicine to see if I can get the sort of response that I want to get when I don't get...so probably in 60% of people, I'll get the response I want. But in 40%, I have to really work hard. And so that's when I'll go outside the norm and go, "Okay, let's put a bit of this in and this. I'll up the dose of that." And so I sort of like it because it's like a big jigsaw and I need to put all the pieces together. Andrew: I've got to say this. We could talk for hours on this, and indeed, we need to, but not here. People, practitioners need to attend the Australian Methylation and Genomic Summit. They really need to be listening from the experts in these fields. And they really need to be registering by going to mthfrsupport.com.au and registering at the site. I can't thank you enough for taking me, let alone our listeners, through not just the conundrums that face you on a day to day basis, but also how they can get further clarity by attending the Australian Methylation and Genomics Summit in August. Thanks so much for joining us on FX Medicine. Carolyn: Thank you so much. It's great being here. As you said, I could talk about this for hours. So, it's great to have a like-minded person that keeps talking about it because I do love it.